WE'VE known for some time Patrick Reed has few fans on the PGA Tour. But a new anonymous survey answered by players of the European Tour quantifies just how strong the distaste is for Reed. 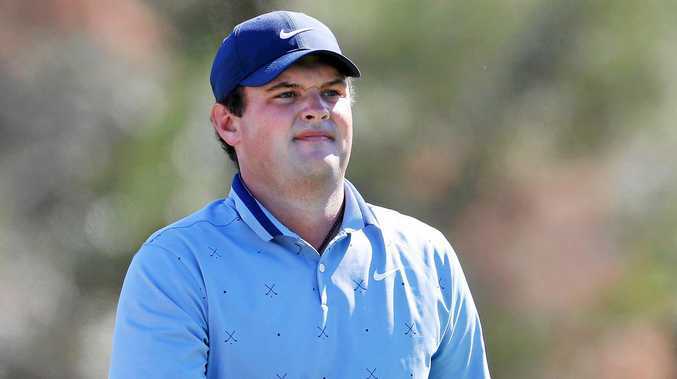 According to the survey, which was published on Golf.com, the majority - though just 20 per cent - of the 34 players polled, asked to describe Reed in one word, picked "arrogant". Another 12 per cent described him more generously as "misunderstood," and a further eight per cent called him "interesting/confident". Other answers included: complicated, annoying, passionate, selfish, different, self-centred, divisive, tough and fiery. It's no surprise that some players are unimpressed with Reed. Since winning the 2018 US Masters, Reed has been thrust into the spotlight for all the wrong reasons. He publicly lashed out about not being paired with Jordan Spieth for this year's Ryder Cup, claiming he was "blindsided" about the decision. In response, a team USA member called Reed "so full of s---". Reed threw captain Jim Furyk and Spieth under the bus for the US's embarrassing loss and has shown no remorse for the decision. The 28-year-old has a reputation that dates back to college, where he was kicked off the University of Georgia golf team for alleged cheating and various arrests that didn't help his cause.